Designed to be more user-friendly especially for exercise and weight loss purpose. These pads have softer padding for maximum comfort. 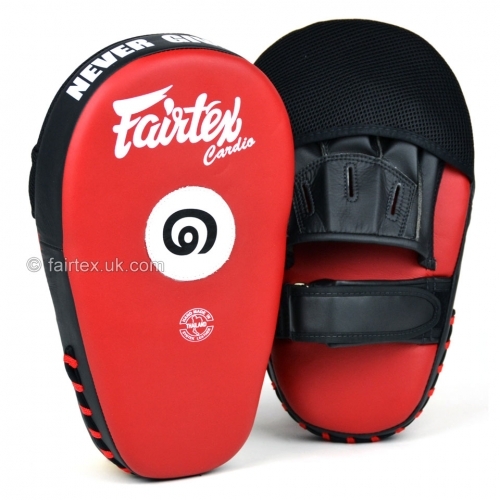 However, these pads are still durable and long-lasting due to the well-designed internal structure and the "Micro Fiber" outer shell (the same material as used on the MADDOX grappling dummy). 0.5 kg lighter than the FMV8 equivalent. It features mesh sandwich fabric on the hand covers to release heat. Each pad is 12" long and can be used both for punch and kick drills. Thai numbering (one and two) are put on the target and is used for one two punch.